If you are running an online store, then you should have live chat functionality into your site. It allows your potential customers and visitors to clear their doubts and ask their queries about your products or services instantly. A professional-looking live chat box can also boost the user experience of your website- as your potential visitors can ask their queries directly to you, without even leaving your site. The satisfaction of a visitor is the key to success for your business. If your website is running on WordPress, you can easily integrate the live chat functionality using the most reliable live chat plugin. WordPress is the most sought-after content management system that offers a ton of advanced live chat plugins that will help you create beautiful and interactive live chat box for your site, without generating a single piece of coding. So, in this post, we will explore the 7 high-powered live chat plugins that will take the user experience of your site to the next level. All you need to do is to install the best plugin that can meet your business requirement efficiently. WordPress live chat is a fully responsive WordPress plugin that allows you to create beautiful and eye-grabbing live chat box for your website. It is a premium plugin that offers a ton of exciting features that will help you integrate live chat functionality, without any coding. Most of the reputed websites are using this plugin with the sole aim to resolve the problem of their potential visitors on the fly. It is a fully customizable plugin so that you can tweak the look and design of your live chat box in a matter of few minutes. WPML compatible and a lot more. 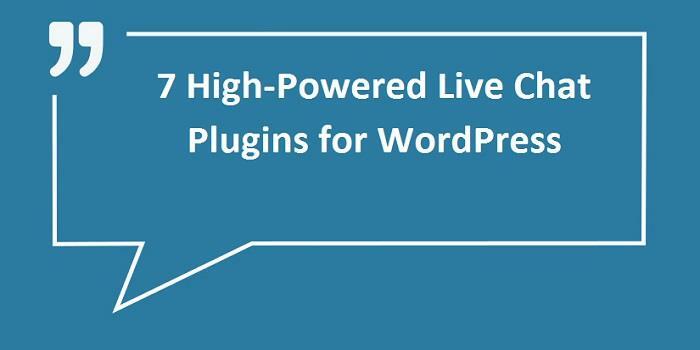 This is one of the cheapest live chat plugins for WordPress. It is a free WordPress plugin that can help you add highly-interactive live chat functionality to your site. This fully functional plugin allows you to chat with your visitors for free of cost. This means you don't to pay monthly payments. Just add live chat support to your site and interact with your visitors. Overall, WP live chat support is an ideal plugin for small scale businesses as there are no monthly live chat subscription payments. Tidio is a free, simple yet effective WordPress plugin that can help you add live chat functionality to your site in a matter of few seconds. This plugin allows you to communicate with your real-time visitors quickly and easily. After installing this plugin, you will be ready to reap its advanced benefits as there is no registration or subscription fee. It also offers offline messages form for your visitors. They can send you an email when you are not online. But the best thing about this plugin is that allows users to manage chat directly from their desktop, android and iOS applications. Isn't it amazing? Integrated widget supports over 140 languages, etc. You can also buy its premium version if you want to avail advanced features of live chat plugin. This plugin is developed by Formilla.com and offers tons of exciting features to its potential users. It is an overwhelming plugin that embeds live chat functionality to your site in minutes. Multi-language compatibility and a much more. However, the plugin only supports 30 total chats/ per month. If you want to avail unlimited chat, you need to purchase its premium version. 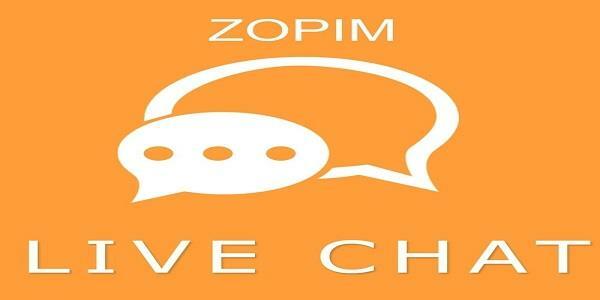 Zopim is an incredible live chat plugin for WordPress that lets you monitor and chat with the real-time visitors who accessing your site. The plugin makes it easy for visitors to ask their queries or doubts related to your site, product or service in seconds. With this plugin, you can answer the questions of your visitors in real time, which in turn increase your user experience and improve your conversion rate. Even, you can manage and monitor multiple conversations via the single online dashboard. Add powerful live chat functionality to your WordPress site using Pure Chat WordPress plugin for free. Yes, Pure chat is also a free plugin that offers a fancy chat box layout and tons of advanced features. With the help of this plugin, you can see who is on your site in real time and begin a conversation. In fact, your live chat box transforms into an opt-in form for any MailChimp email list if your support staff gets busy or offline. This is our last but not the least live chat plugin for WordPress. Unlimited chat channels and a lot more. Hosting an online store without live chat functionality could leave you in a difficult situation. If you want to give rich user experience to your real-time visitors, you should download and install the best live chat plugin for your WordPress site. Nice information of all live chat Plugins thanx for sharing it with us..